At Research Financial Strategies, we have assembled a team of highly qualified investment professionals focused on the preservation and growth of our clients’ assets. We all share a bond with the communities where we live, as well as a belief in the power of hard work and discipline over time. That’s how we have grown our business and how we continue to guide the wealth of our clients. Carlton “Carl” Gay enjoys serving and protecting his clients and he has dedicated himself to providing the best service possible. As a Certified Wealth Strategist, he specializes in complex client issues and is constantly adapting better ways to serve their needs in an increasingly complex global economy. Carl joined Research Financial Strategies in 2013, but he has been working in financial services since the late ’70s. He started with the respected firm of Dean Witter, and in 1998, he joined the forward-thinking, independent advisors at D.E. Frey, which merged into First Allied Securities in 2000. A native Washingtonian, Carl earned both his bachelor’s degree in political science and his master’s degree in business administration from George Washington University in Washington, D.C. Since the ’80s, he has continued his education through advanced financial training at the University of Pennsylvania’s Wharton School of Business. David Goar is passionate about working with families to help them reduce risk and create retirement plans that fit their needs. As a wealth advisor for Research Financial Strategies, he focuses on helping people take control of their entire financial lives. Dedicated to creating solutions that will give his clients both flexibility and a range of options for all phases of their journey, he takes pride in helping people create a more secure financial future for themselves and their families. David joined RFS in 2015, but he has been in the financial services since 2007, previously serving clients as an advisor with UBS Financial Services. David is a graduate of Brigham Young University and lives in West Point, Utah with his wife Staci. As the father of four boys, he puts his family at center stage. In his free time, David enjoys basketball, golf and watching his sons play sports. He also continues his mission for service by volunteering as a Boy Scout advisor. 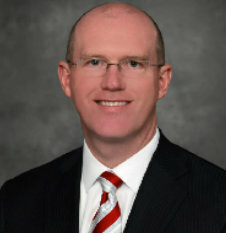 Brian King is an investment advisor representative who serves clients in Georgia, Alabama and South Carolina. He specializes in helping clients within five to 10 years on either side of retirement to develop strategies that protect the investments they have worked so hard to accumulate. He also develops retirement plans for small companies by offering investment advice and helping sponsors manage the risk inherent in providing such plans. Prior to joining Research Financial Strategies, Brian was an advisor with LPL and MetLife Securities. At MetLife, he helped business owners plan for succession and the smooth transfer of their estates. His experience allows him to consider all sides of a client’s financial position before making recommendations. Brian attended the University of Georgia where he studied finance and later finished his bachelor’s degree in finance at Liberty University. His interests include spending time with his wife and their three boys, UGA sports (especially football) and traveling. He is also very passionate about volunteer work, especially in adoption and orphan care. James “Jim” Musgrave is passionate about providing others with a quality financial education. 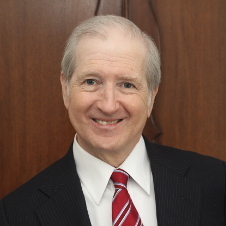 He specializes in company retirement plans and financial planning for federal employees, military personnel and business owners, and provides educational seminars for individuals, federal employees, associations and corporations. A financial and wealth advisor with Research Financial Strategies since 2012, Jim has been in the financial services business since 1998. He is certified as a Chartered Retirement Planning Counselor SM, which denotes expertise in retirement, estate and insurance planning. He provides access to a vast array of products and services including Exchange Traded Funds, bonds and alternative investments. He has affiliations with Insurance distributors and broker services companies that offer more than 125 carrier partners that provide a complete range of health and ancillary plans. In an effort to give back to his community, Jim is President of the Silver Spring, MD chapter of The Society of Financial Awareness (SOFA), a national not for profit with the goal of ending financial illiteracy. He is a frequent speaker at these workshops at local businesses, nonprofits, associations and churches to share his knowledge through financial education. Jim is a graduate of the University of Alabama. When he is not helping clients, he enjoys outdoor activities, gardening, skiing, swing dancing and spending time with his family. Visit www.JimMusgrave.com view upcoming seminar dates and learn more about his services. As a seasoned financial professional since 1984, Curtis Neuman helps clients make informed choices about their money in order to pursue their goals through the values that are important to them. He has a referral network of attorneys and CPAs that are ready to assist clients in complex matters. Curtis has conducted numerous educational programs for many social and civic groups. He is licensed for all lines of insurance in the state of Florida. Originally from Wisconsin, Curtis moved to Ocala in 1992 with his wife Sue. He received his BS in Finance from the University of Wisconsin. Curtis holds an amateur radio license and enjoys sporting activities, church activities and spending time with his family. Richard “Rick” Scott is focused on helping his clients with strategic risk management, asset protection, and estate and succession planning. He is a Certified Public Accountant and has been an investment strategist with Research Financial Strategies since 2012. He is also co-owner of Yurich Financial Group, based in Cleveland, Ohio, which serves clients in eight states. Founded in 1991, the firm specializes in assisting individuals, families, trusts and estates in the preparation of income taxes and estate taxes, as well as estate administration. 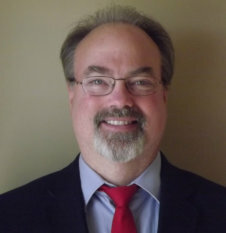 Rick has a bachelor’s degree in theology from Oklahoma Christian University, and two master’s degrees: one in theology from Pittsburgh Theological Seminary, the other in accounting from Cleveland State University. A native Ohioan, Rick moved to Nashville, Tennessee in 2011 with his wife Autumn and their three children. He frequently travels between Cleveland and Nashville, and in his free time, he enjoys playing cards, golfing, sailing and watching sports. Radon Stancil is dedicated to helping individuals plan for and attain their financial goals. He is not only a financial and wealth advisor specializing in financial and retirement planning, but he is also a Certified Financial Planner® and member of the Research Financial Strategies investment advisory committee. Radon is honored by the trust he has earned with his clients. Using the business name of Diversified Estate Services, he specializes in helping individuals gain clarity, balance and focus, which empowers them with confidence. With a passion for educating the public, he is author of the book “Take Control of Your Retirement Plan” and regularly appears on Raleigh-Durham’s NBC17 as the “My Carolina Today” financial expert. A member of the National Ethics Bureau, Radon successfully passed the Ethics Check System, a rigorous eight-point background check for criminal, civil and business violations. Radon received his financial planning education at Boston University. When he is not working, he enjoys spending time with his wife Jenifer and their two children. Visit www.desllc.org to learn more about Radon and his services. As an investment advisor representative specializing in retirement planning, David Stein provides his clients with end-to-end financial strategies and asset management services that leverage the money management services of Research Financial Strategies. With more than 25 years of experience in the financial services industry, he worked with notable names such as Dean Witter Reynolds, Smith Barney and LPL Financial prior to joining RFS in 2012. David earned his bachelor’s and master’s degrees from Michigan State University, and he earned his law degree from the University of Michigan. When he is not serving his clients, he enjoys traveling and is an avid sports fan and movie buff. 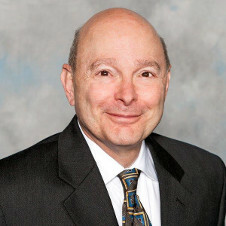 Lance Yurich has a diverse background that allows him to serve clients with an array of needs. As an investment advisor representative, he specializes in risk management, asset protection, and estate and succession planning. He is also registered with the U.S. Internal Revenue Service as a Registered Tax Return Preparer, where his work’s focus is income tax preparation and planning. Lance has worked in the investment business since 1991, when he co-founded Yurich Financial Group. The firm specializes in assisting individuals, families, trusts and estates in the preparation of income taxes and estate taxes, as well as estate administration. A graduate of Ohio University with a bachelor’s degree in accounting, Lance has the business background needed for both the investment and tax disciplines. He lives in a suburb of Cleveland, Ohio with his wife Wendy and their three children. In his spare time, he enjoys watching sports, boating and supporting his children’s sports teams.